Board Book Templates in InDesign can aid the layout and design of your book. It’s Free! Board book templates will work with InDesign CS4 and above. We include a PDF so you can see how printer’s marks and bleeds are set-up. 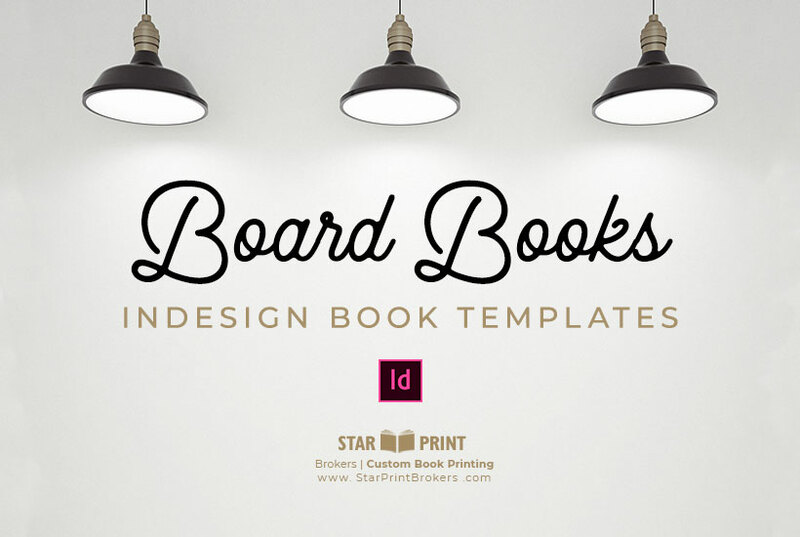 Just click on the board book templates sizes below to download instantly. Our print board books are all beautiful and well-bound. The cost to print is affordable. Save up to 70 percent on book printing in China and Asia. ©2014 Star Print Brokers, Inc.
Not everyone prints high quality board books. But, at Star Print Brokers, we do! We can print the highest quality, or if you are tight on budget, we can offer some materials suggestions to reduce cost. Be assured that we manufacture all board books with children, as well as quality in mind. Babies can put them in their mouths, therefore, we make sure all the materials are safe for little ones! Any of the board book templates can be modified in InDesign, and self-publishers can print custom sizes too. At Star Print Brokers, you have more choices than most anywhere else. Everything we do is custom. We stand behind our books. This is not print on-demand. It is so much better! Contact us today, or request a book printing quote or book design quote. We are happy to help you with book printing, book design, or both. Talk to us about the vision you have for your book. Enjoy your board book templates! See our children’s book templates too!